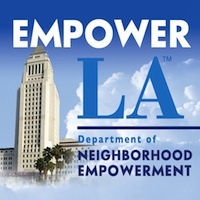 EAST AREA: Works USA: 4260 Eagle Rock Blvd. Spaces are limited to 30 spaces per tour so only the first 30 RSVPs will be reserved a spot. We will be sure to to follow up to confirm that your spot has been reserved. 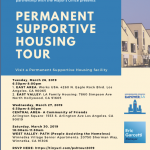 Note: We will also be coordinating additional tours in the West side, Watts, and Harbor areas at the end of April 2019. Stay tuned!